on Thurs. evening at 7pm. Class cost is $17. YOu can register for the class here. 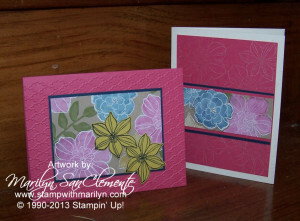 handmade cards, Stamp with Marilyn, whitewashed watercolor. Bookmark.